I use the Pond of Safety parking lot and road for 30+ mile training runs that take me into Jericho State Park. 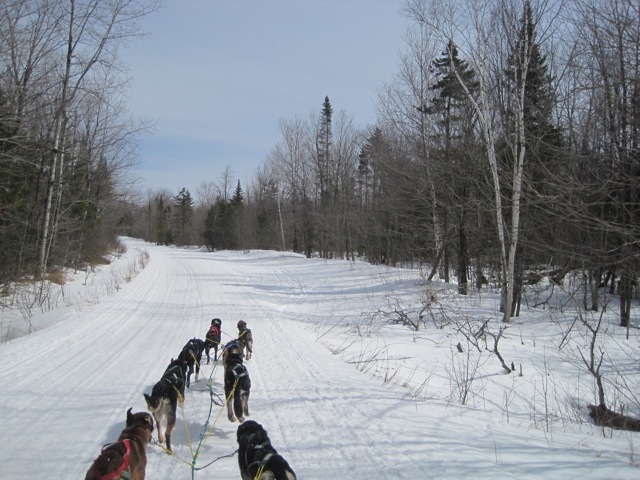 It’s one of the more challenging runs around, especially when the team climbs back up to the Pond from the north side, which is a long climb for them to do at mile 25. It has fast turns and lots of hills. 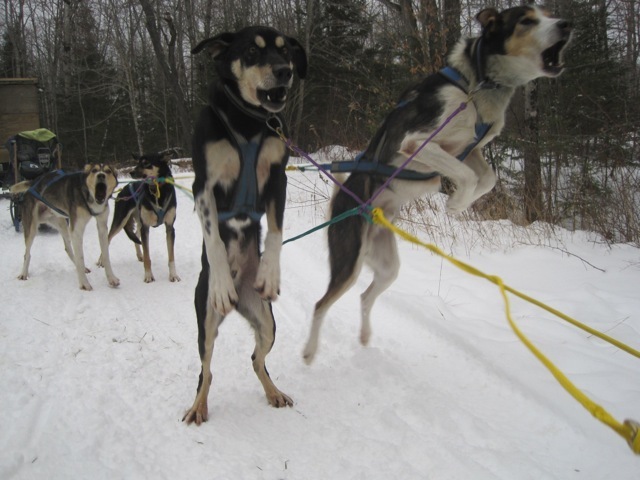 It is great training for the races I run in northern Maine, which are 60-100 miles long. 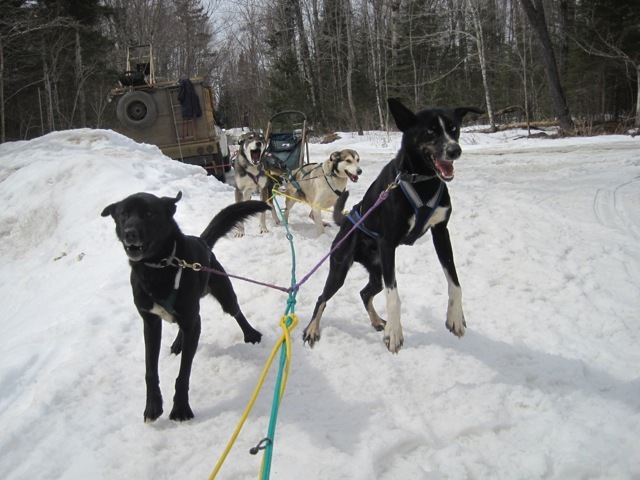 Many other mushers use the Pond of Safety lot and road for guiding tours and for training their teams. 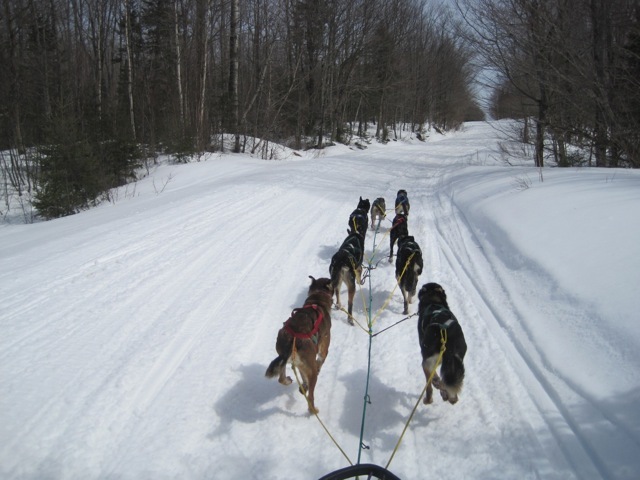 It’s a reliable place for good snow, often into mid-April. Here are a few photos of Sally’s eager and hard-working crew on the Randolph Community Forest. To read more about Sally and her team, check out this article.